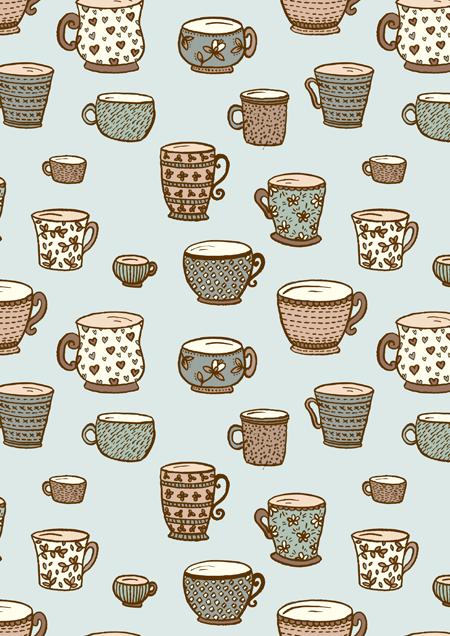 Inspired by the Piled High illustration I did last week, I wanted to do something else involving lots of patterns and markings, and I went with a collection of imagined mugs and teacups! I went with quite a muted colour palette on this one, focusing on china blues and a coffee browns. I really enjoy making these kinds of repeat patterns, drawing the same object over and over and using lots of different lines and markings, I'll probably do more of these in the near future, possibly with plates or candles... any other suggestions?